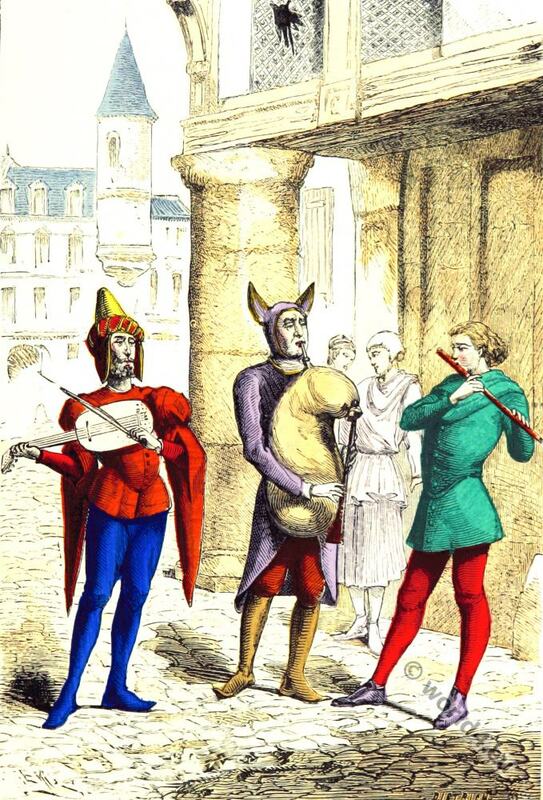 Home » Wandering musicians of the 15t century. Wandering musicians costumes 15t century. Wandering musicians costumes of the 15t century. Musiciens ambulants. XVe siècle. Tiére de mobilier d’Eugène Viollet-le-Duc. This entry was posted in 15th Century, France, Middle Ages and tagged Burgundian fashion period, Gothic costumes, Medieval costume, Musicians, Paris à travers les siècles on 8/26/15 by world4.